Employing a wide range of examples from G-protein-coupled receptors and ligand-gated ion channels, this detailed, single-source reference illustrates the principles of pharmacological analysis and receptor classification that are the basis of rational drug design. Explains the experimental and theoretical methods used to characterize interactions between ligands and receptors-providing the pharmacological information needed to solve treatment problems and facilitate the drug design process! 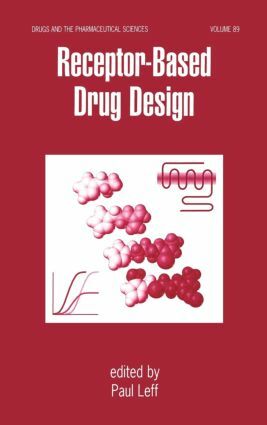 Written by over 25 international authorities and containing nearly 1200 bibliographic citations, Receptor-Based Drug Design is a practical resource for pharmacologists, pharmacists, and pharmaceutical scientists; organic and medicinal chemists and biochemists; molecular biologists; biomedical researchers; and upper-level undergraduate and graduate students in these disciplines. "…this volume is essential reading for the users of the libraries of pharmaceutical companies and university departments of pharmacology, pharmacy, and medicinal chemistry. -Adrenoceptor Agonists and Antagonists, J. Paul Hieble and Robert R. Ruffolo, Jr.